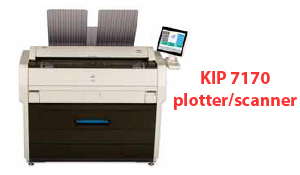 Meet your in-house printing and scanning needs with a new KIP 7170 plotter/scanner. For more information on the Kip 7170, CLICK HERE. *Credit approval required. Two payments down at signing. Payments exclude taxes. $1.00 buyout at lease end.